Dave Maclean is back on Brew Ha Ha with Steve Jaxon and Mark Carpenter. Steve opens by mentioning that Dave has sold Magnolia Brewing, which he started in 1997. Also in is Baron Ziegler of Banshee Wines. 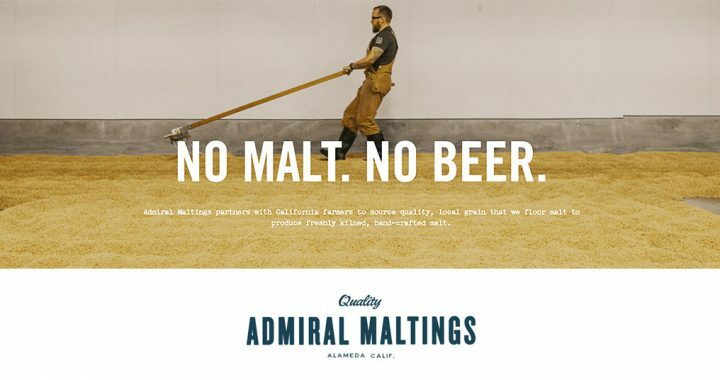 Dave’s new company is Admiral Malting. They turn raw barley into malt that brewers need to make beer. They use an old traditional practice called floor malting, where they lay it out on the floor. They sell to a lot of local brewers. Until now there has not been access to local barley malt. Mark Carpenter notes that almost all commercial cereals have malted grain, which has more flavor, and that today they will taste some beer from Seismic that used Dave’s malt. It is called Alluvium Pilsner from Seismic Brewery. It just won a Silver Medal at the California State Fair. It will be one of the beer featured at Outside Lands Music Festival. The other beer is a Pilsner, also from Seismic. Most or all of the malt would come from England or Germany or Canada or the upper Midwest. This is the first time that local California brewers can access malt that is made from locally grown grain. Baron Ziegler of Banshee Wines has brought a Pinot Noir that they make using sustainable and organic practices. They also make Chardonnay. They have a tasting room in Healdsburg. They produce their wine in a shared facility called Sugarloaf. The Outside Lands music festival will have about 65,000 people and more than 20 different breweries. Dave feels that it does a good job of capturing a sense of place, with all local food and local breweries and wineries.